Dr. Steven Hatch reveals what it was like to be a doctor at a Liberian hospital during the heart of the Ebola crisis. 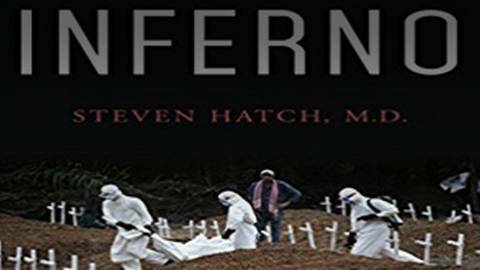 Host Dr. Russell sits down with Dr. Steven Hatch, an infectious disease specialist and author of the book, Inferno: a Doctor's Ebola Story, about his experience in Liberia during the heart of the Ebola crisis. A physician’s memoir about the ravages of a terrible disease and the small hospital that fought to contain it, Inferno is also an explanation of the science and biology of Ebola: how it is transmitted and spreads with such ferocity. And as Dr. Hatch notes, while Ebola is temporarily under control, it will inevitably re-emerge―as will other plagues, notably the Zika virus, which the World Health Organization has declared a public health emergency. Inferno is a glimpse into the white-hot center of a crisis that will come again.